IOS vs Android App - Best App Wordwide? As iOS and Android both remain on the top leading platform providing the best mobile experience to the users over the globe, it is hard to choose which platform to go for their business app for its launch. Having a clear mindset regarding the market and demand of potential consumers will act as a booster to take the right decision in choosing whether to go with iOS or Android. Different business ideas have different target audience one needs to analyze the target audience and the answer to the above-raised question. 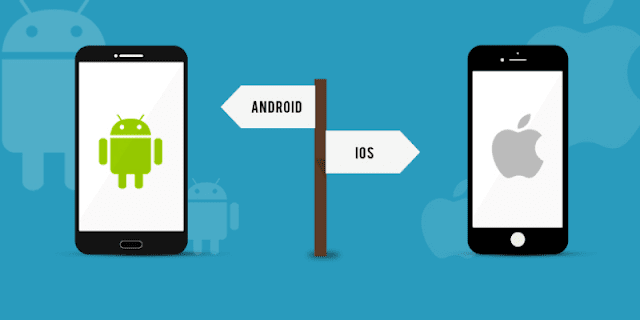 On comparing both Android and iOS, you will get to know there are some real differences in existence related to security, hardware, cost, and features of the software. This article will clear your mindset regarding which platform to go with for the launching of your business app. Your target audience should count in deciding the right platform for the app. The business owner should have a clear picture in his mind regarding the key difference between Android and iOS. Research states that the Android market is wide as compared to that of iOS. Moreover, it also states that Apple dominates the App Store when it comes to consumer spending money on their app. If you have your target audience on a global scale and your app is of e-commerce or enterprise app, you should go with Android. Android market is very vast in Asia as well as over the entire globe. As per the stats, Android users are mostly men working in technical jobs. So, in case you need to go with a target audience residing globally Android will serve your purpose. If you have the majority of your target audience in Europe or North America and you have an enterprise or an e-commerce app, you should go with apple. iOS user tends to be of young age group generating more income as compared to that of Android. Most of them prefer to use iPhones than Android. Reports state that Apple users are more engaged and spend more on their device apps. Building an app on the iOS platform is much faster, easier, and cost-efficient as it is estimated Android takes 30-40% longer development time than iOS. Swift the language used in iOS development requires less code as compared to JAVA. There is no standardization in Android because it is an open source platform. Enlist the features you want in your business app. Android is more flexible in terms of features when it comes to customizing your app and modifying it as per the functionality and features needed by your potential audience. Despite, of the fact that Android has more features because of the open source environment, Apple has a larger audience when it comes to enterprise apps and e-commerce because of its security features. Android users are slightly less concerned regarding upgrading their apps as compared to iOS. While studying the fact I observed that 50% of Android users were using the same operating system which was more than 2 years old. So, if your app requires frequent updates you must consider this factor while choosing the platform for your business app. You need to identify the purpose of your app whether you need to generate revenue form that or not? Android users are slightly less willing to pay for the app as compared to iOS, so, for Android loose apps with in-app adds should be preferred. Before taking the decision of which platform to go with for your mobile app you need to perform complete research on your audience, features need to be embedded in your app, your budget, and timeline. If you are in thought of generating revenue from your app you should go with iOS and on the other hand if your focus is to target maximum users over the globe or emerging market, especially Asia and Latin America, or your app requires features which are not supported by iOS than Android will be more feasible for you.